D.J. Patton isn’t reluctant to talk about his humble beginnings. By his account, he wasn’t a good college student, grew up in a poor family and went to a high school where the academics were well below average. For those reasons, Mr. Patton credits the University of Kentucky and, specifically, the Department of Mining Engineering, with giving him the training for a successful career in the mining industry. Mr. Patton attended UK from 1960-1966, gaining on-the-job experience through the College of Engineering’s co-op program. After graduating with a bachelor’s degree in mining engineering, Mr. Patton went to work for Island Creek Coal Company in Wheelwright, Ky., as a division superintendent. There, he was responsible for two large modern underground mining operations that produced 2.5 million tons of metallurgical coal under his supervision. In 1972, Mr. Patton became the assistant to the vice president at National Mines Corporation, Beaver Creek Division. His responsibilities entailed managing an underground mining operation covering five mines and two million tons of coal production annually. In 1976, Mr. Patton was promoted to vice president of operations, where he oversaw production, environmental compliance, safety, quality, cost and labor relations and negotiated three labor agreements with the United Mine Workers of America. 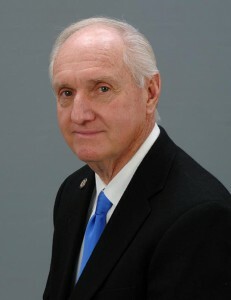 Mr. Patton’s hard work and reputation for getting results earned him additional responsibilities of vice president of engineering in 1982, a position he held for ten years. During that time, he was responsible for all long-range planning and budgetary oversight at National Mines Corporation. In addition, Mr. Patton worked with government agencies when opening, operating and closing coal mines and controlled all permits, engineering and capital expenditures for mines located in Kentucky, West Virginia, Pennsylvania and Arkansas. After 13 years at National Mines Corporation, Mr. Patton was given the responsibility of vice president of operations and engineering at Mathies Coal Co., where he oversaw 1.5 million tons per year of coal produced by a mine that was jointly owned by three companies, one of which was National Mines Corporation. After a brief stop as vice president of Chisholm Coal Company, Mr. Patton opened his own consulting agency in 1995, with himself as the only employee. He has worked for himself ever since, choosing nothing more than he can handle himself. During his career in mining operations, Mr. Patton prided himself on taking strong stands with safety. In 47 years of working inside underground coal mines, Mr. Patton never once injured himself or others on the job. Grateful for the opportunities given him by the Department of Mining Engineering, Mr. Patton became a charter member and chairman of the Mining Engineering Foundation’s board of directors in 1986. For the past 27 years, he has assisted the foundation’s mission to supplement the department’s budget and assist with funding not provided by the university or the state. In addition, he is a member of the UK Development Council, a UK Fellow, treasurer of the Kentucky Coal Association and a deacon at Calvary Baptist Church. Mr. Patton lives in Lexington, Ky., with his wife Nancy. They have three children, Brian, Brad and Mandy and three grandchildren.